Apples! We always have apples in our home because they are so dang delicious. And now that fall in on it’s way, apples will start popping up everywhere we look. 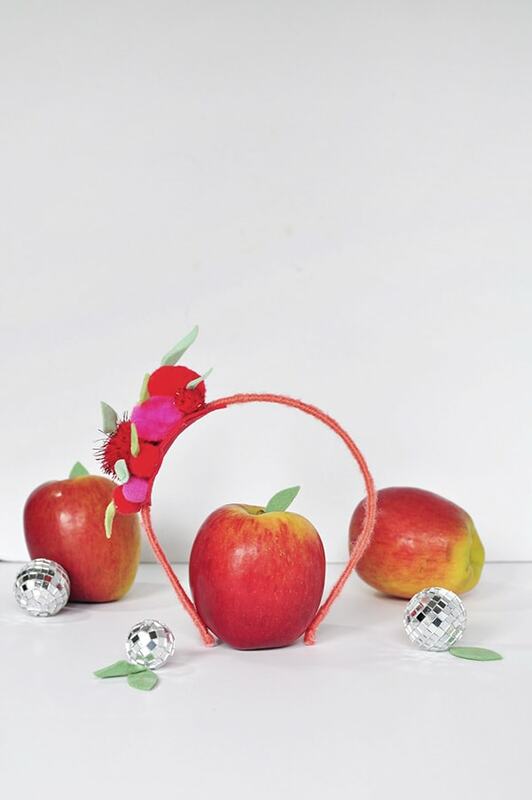 Last week, I showed how to create Apple Cupcake Toppers and this week, I’m using the same “apples” to create an Apple Pom Pom Headband! 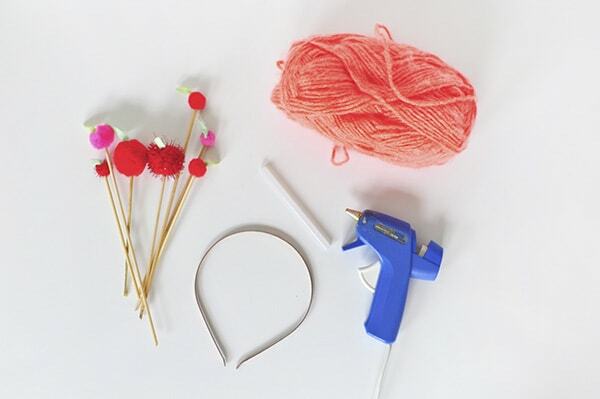 Start by securing the end of your yarn to the metal headband with hot glue. Then slowly wrap the yarn around the headband. Every inch or so, add a small dab of hot glue to keep yarn in place better. 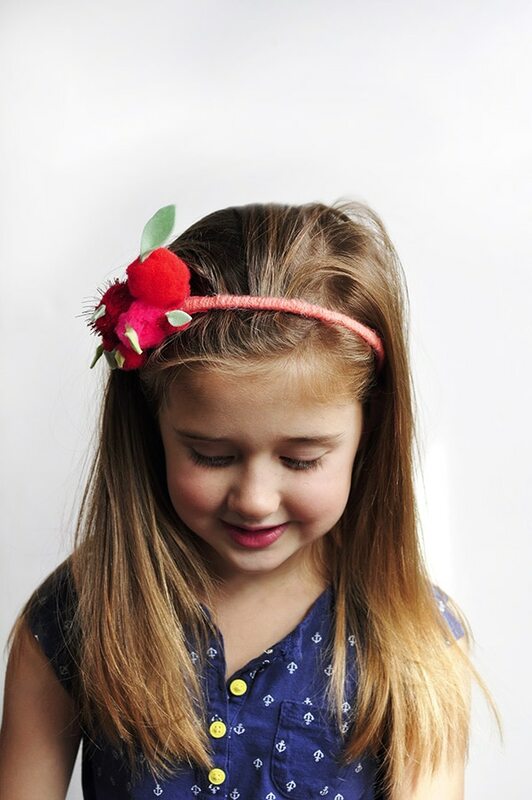 Next, create your apple leaves by cutting out leaf shapes in different shades of green felt. This is my favorite felt resource. I have step by step explanations on how to create the apples using pom poms in this post. Since I had just made them, for this project I simply removed them from my wooden skewer. Next, cut out two oval shapes from red felt. 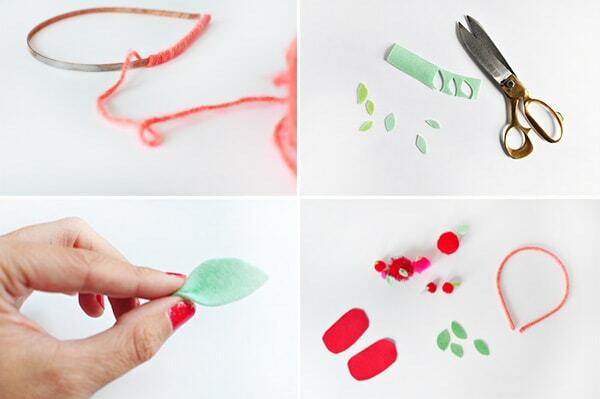 Secure your apple pom poms onto the felt with hot glue. I found playing around with the placement prior to gluing them was helpful. If you have open spaces or gaps, you can add in some of the green felt leaves you created earlier. 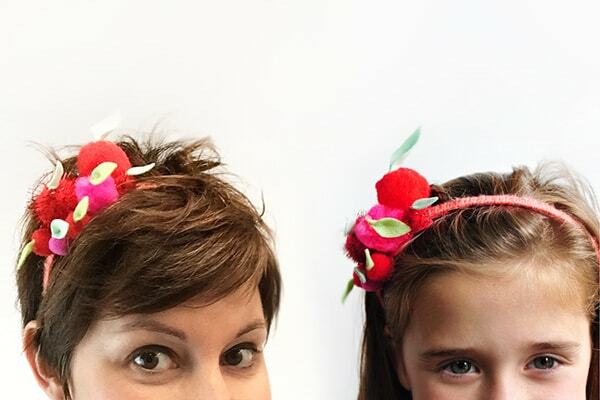 Once you have the pom poms all secured to the felt oval, next apply a generous line of hot glue in a straight line and attach to the headband. I like off setting my apple pom poms slightly from the center. Lastly, glue your final red oval to the underside to “sandwich” the metal headband between both pieces of red felt. This will give your headband longer wear. 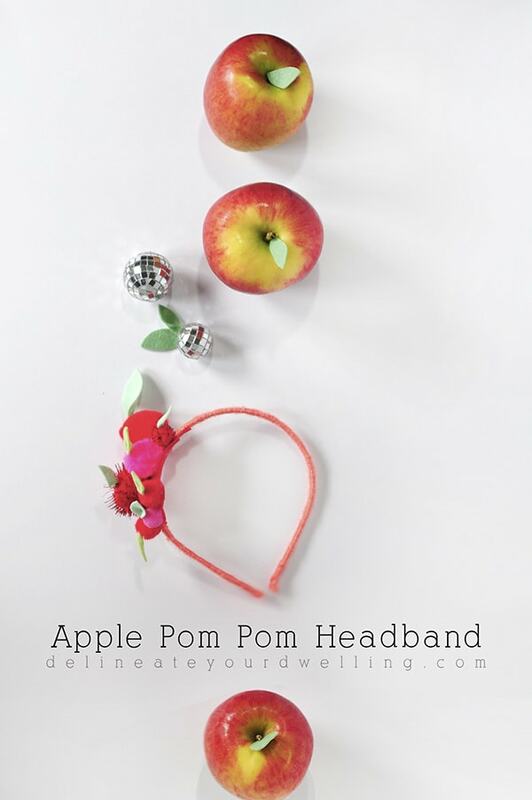 You are left with the most adorable Apple Pom Pom headbands you can imagine. 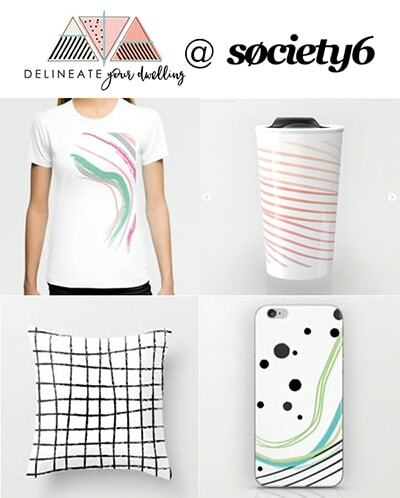 Would this not be perfect to wear to school or a fun Fall party?!! My little girl and I had such fun playing with them! Keeping it real moment. 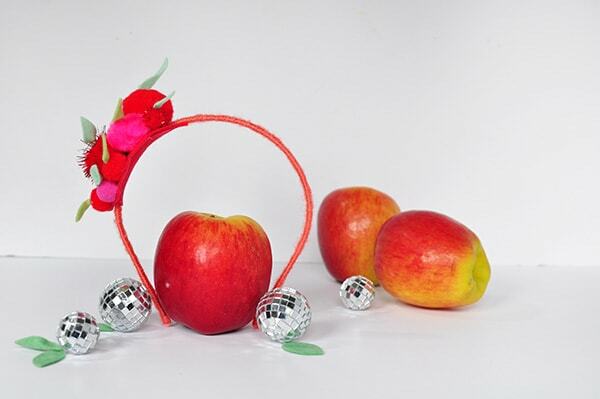 I almost put donuts on this headband… but thought I’d try to keep it a little more healthy for now. Ha! 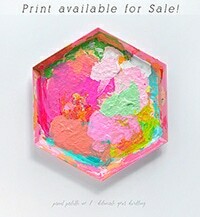 OMG these are so cute Amy!